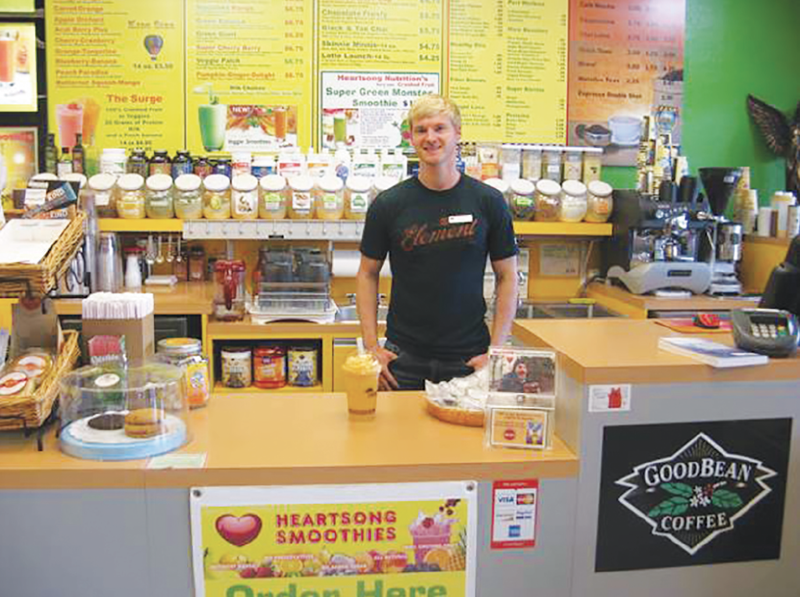 Heartsong Nutrition is the seventh health food store opened and operated by the Spencer family. They have been in the nutrition field for 22 years. Their store, located in the Market of Choice Shopping Center, is now beginning their 6th year of operation. 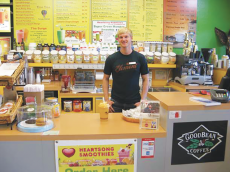 In addition to their extensive nutrition supplement and vitamin line, the store has an excellent Smoothie Bar. The store is a family business that is operated by Jim, Anyas, and Sunji Spencer. Jim focuses on general supplement information and how to balance your metabolism through nutrition. He can answer your product questions and can show you which products are used for which part of the body and for which purpose, as well as answer general questions on Wellness. Anyas helps female customers with their questions about female issue products. Sunji specializes in Sports Nutrition products. 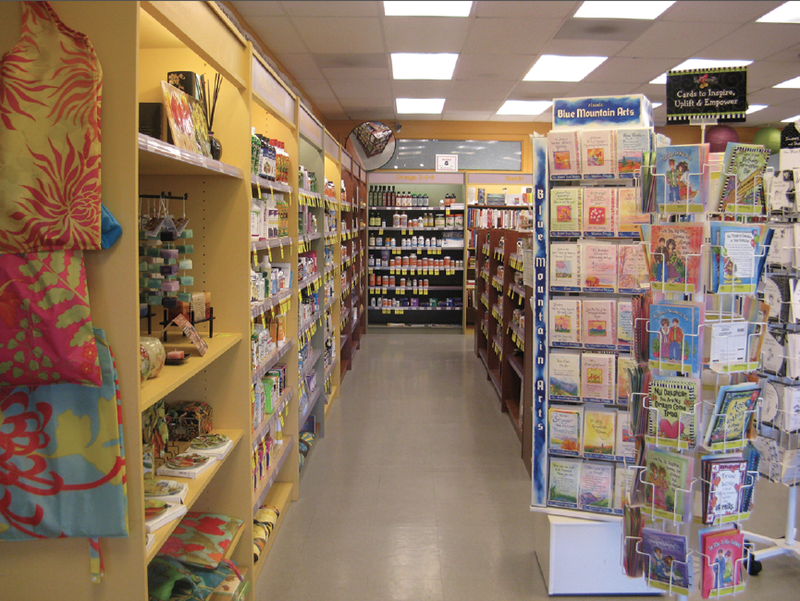 The store carries products divided according to their use. Their categories include Diet and Weight Loss, Energy, Sports Nutrition, Joint Health, Brain Health, Heart Health, Anti-Aging, Digestion, Natural Hormone Balance, and Cleansing and Detox. They source their products from suppliers that use the highest quality ingredients and compound their formulas so that a person needs to take fewer different supplements. Hi Jim and Anyas. Welcome back for your 2017 interview in LocalsGuide. Thanks, it’s been a great year. We are still growing as our customer base is expanding. We feel very proud for the strong reputation we are developing for helping our customers meet their health goals. I know it takes a lot of hard work to establish oneself as a new business. What do you see as being some of the key factors that are helping set HeartSong Nutrition apart. We continue to educate ourselves on Natural Health through Education, Experience, and Product Knowledge. There is also a lot of Fake News out there in regards to our food and medicine supply. A majority of Americans are now unhealthy and overweight….and most people don’t know how to fix the problem. There are so many different answers and most of them don’t work. However, Naturopathic Science does have some good answers and it is easier than one would think to repair our metabolism and regain our “Perfect Body Image”. Please tell me about the term supplement specialist? There is a vast and confusing array of natural food supplement products out there in the market. Supplements can effect changes in the body but they often work very subtley and over an extended period of time. Many people stop taking certain supplements because they don’t notice any positive changes to their health. Supplements have problems just like other products. So it’s very important to purchase products from companies that have high manufacturing standards and use the GMP Standard for product efficacy. Through our long experience with product knowledge, we have sourced out the products that use the best ingredients and produce the best synergistic formulas. Many times customers are having to discern between contemporary and outdated concepts of health. Please say more about this. Just the fact that Cardiovascular, Neurological, Joint Health, Cancer, Endocrine, and Digestive System of Americans is in poor condition is clear evidence that our medical system is not working. Our food supply has been compromised by wrong science driven by greed and profit, as the expense of good health. The Trans-Fat, Low-Fat, Bad Fat craze that we find ourselves in is a good example of how wrong science can destroy human health. The answers are out there but until the general medical community understands and signs on to the right answers—our waistlines will continue to expand and inflammatory diseases will continue to grow. Jim please talk about your commitment to ongoing education. Many have said that you can get all the supplements you need by food. What are your thoughts on this? If we were living in a perfect world and were using healthy organic farming methods, well then—yes—–we could obtain all of our nutrients directly from the food we eat. But in today’s 80,000 + manmade chemical environment—no—-we cannot and we must supplement in order to be healthy. Our food supply has been corrupted, and this is even true in some of our organic foods such as olive oil and fish. Up to 70% of olive oil and up to 40% of our fish are mislabeled as being pure and organic or wild caught versus farmed. In regards to olive oil, sometimes other industrial seed oils are used in place of pure olive oils and farmed fish do not have as much nutrients as wild caught fish because they are fed corn and grains instead of the microalgae that supplies the Omegas that they need. Farmed fish has to be artificially colored with dye because their flesh does not receive the antioxidant pigments that give it that bright red flesh. Please talk about the mission of HeartSong Nutrition. Our job is to help correct our understanding of our food supply and help people on an individual basis to be healthy. This is our seventh health food store. HeartSong nutrition is our healing ministry. If we could focus on any one subject, it would be to correct the types of fats that we consume. Fat is vital to good health and body repair, and if we consume the right kinds of fat, it will help up to lose weight, not gain weight. It is very important to understand the difference between Fats. Fats can be health-giving and weight reducing or they can be health-destroying and lead to extreme weight gain and terminal illness. Jim you are also now offering private Wellness coaching. What does this look like? We offer product knowledge and lifestyle information that can help you get back on track—simply through eliminating some foods from your diet and adding some others in. It is not complicated and involves just getting back to the way our ancestors used to eat before we became exposed to the world of industrial food production. We have some simple guidelines that can help you to achieve your health goals. Is there a fee for the coaching? No. We freely offer our knowledge and experience to anyone that needs it. What are some of the most common issues people are coming in to get help with? The largest issue facing Americans today in regards to good health is a condition known as Syndrone X or Metabolic Syndrone. This is where blood chemistry becomes unhealthy and can lead to inflammatory conditions which can cause Obesity, Heart Disease, high Triglycerides, high Blood Glucose, poor Digestion, poor Endocrine function, and deteriorating homeostatis. And all of these diseases can be caused simply through not consuming the proper foods properly. You are very clear that you are making no claims of diagnosis, treatment or protocol. Our role at HeartSong is to identify effective products, which we use in our smoothies to help restore and maintain good health naturally. We always recommend that you establish some baseline information, such as your blood Chemistry Panel, and confer with your physician about your health strategies. All of our products are high quality from environmentally aware producers. They have established formulations and dosage levels. Jim, please talk about the curation of products that you carry. We source out product formulations that contain the right amounts of ingredients that are symbiotic with each other. It’s easier to take on formulated product than many single products. For example, our Wellness Immune Formula has 39 powerful immune boosting ingredients. Many people, when they are sick and take the product, find that they overcome the illness quickly as they get heavy doses of healing antioxidants. Thyroid problems are very big these days. Why is this? Thyroid disease is related to our food supply and because of radiation poisoning that is happening on the planet. We are not getting the trace amount of Iodine (200 mcg.) that we need to maintain a healthy thyroid gland. There are several formulas on the market which can help to repair the thyroid. When the thyroid gland becomes healed, it can result in many other body systems coming back into alignment. Your smoothies have earned a reputation for being some of the best in the town. 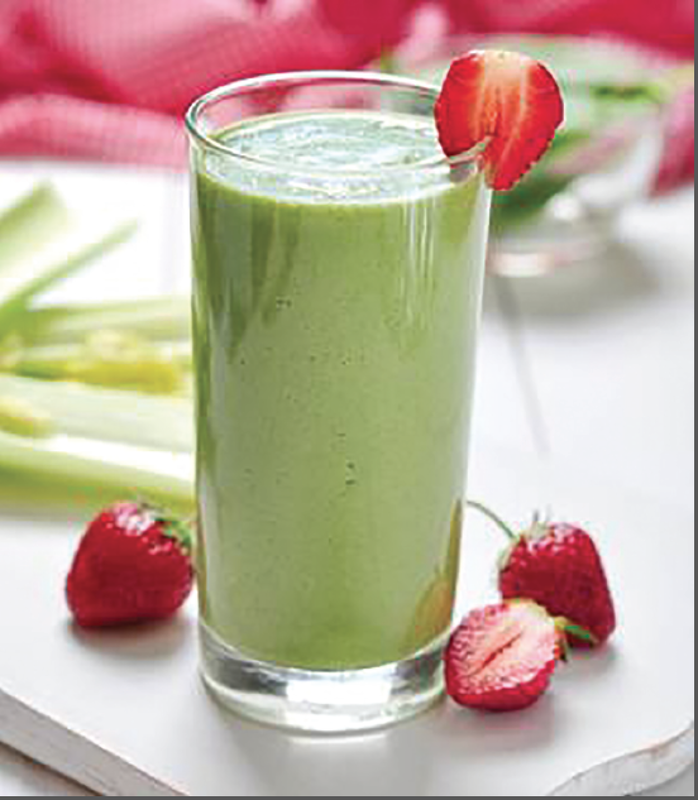 All of our smoothie ingredients are carefully chosen so that they contribute to your health, but still taste good. We never add sugar; never use corn syrup, always use organic whenever possible, no GMO products, and maintain product freshness and sanitation on all levels. Each smoothie is carefully created so that it is nutritionally dense and is designed so that it supplies high vitamin, fiber, fat, and protein levels. We use ingredients designed to support your pancreatic insulin hormone system. These hormones control your appetite, among other jobs. 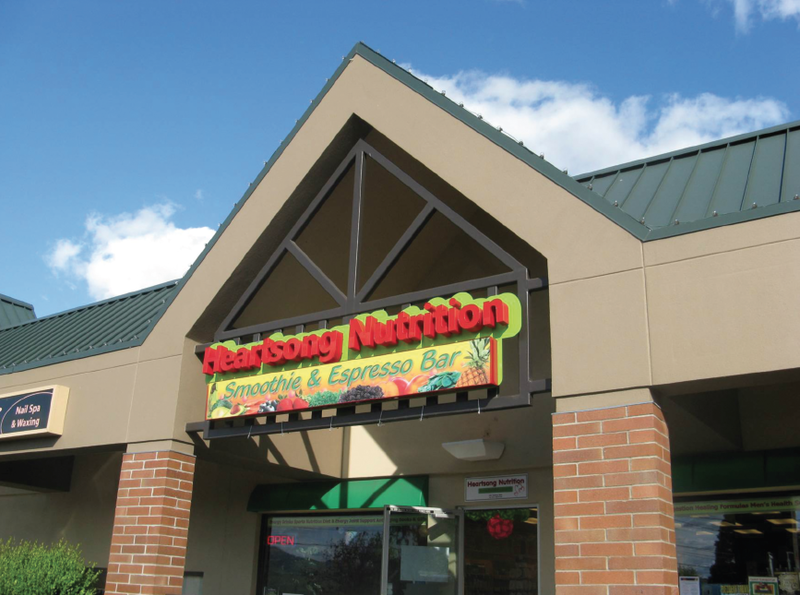 What’s next for HeartSong Nutrition? We are working on adding a raw juice bar to our operation. Smoothies are very nutrient dense. The addition of raw juice will enable customers to accomplish body cleanses and digestive flushes. Finally any last thoughts or comments to share with our readers? The human body already knows how to heal itself. It just needs the right raw materials in order to do that. Heartsong Nutrition can help you to begin consuming those foods which will contribute to your overall health. No need to go on a diet or struggle to restrict your food intake. Just start consuming the healthy fats and oils, fiber and protein in their proper forms and let your body find it own GPS to full health.